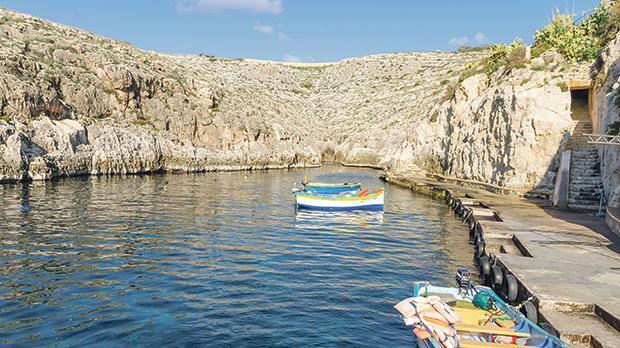 Short of imposing a formal ban, the Qrendi local council has decided not to approve any permits for barbecues at the popular bathing spot of Wied iż-Żurrieq – and anyone defying the policy risks getting fined. In a new measure, any private individual, group, club or company wanting to hold outdoor recreational activities, tombola events, functions or barbecues within the boundaries of Qrendi locality must first seek the council’s consent. The restriction came into force at the start of the month through a bye-law enacted by the council. The regulations do not make specific reference to the fishing hamlet of Wied iż-Żurrieq, which is part of Qrendi, but the council has confirmed it will not issue permits for barbecues to be held there. This clarification was made in reply to questions about the bye-law, published in the Government Gazette on April 2. The regulations apply to events held on public sites and not on privately owned land. Applicants will be requested to sign a written declaration outlining what kind of activity is planned, a site plan and the number of participants, as well as obliging themselves to clean up afterwards. A fee shall also apply, though the bye-law only lists those applicable for holding events at Misraħ il-Maqluba, in front of St Matthew’s Chapel. A champagne party on the chapel’s parvis will be charged a €50 fee but if a reception is organised the fees will increase according to the number of guests. The charges start at €150 for up to 100 persons, €350 for up to 200 guests, and €550 for more. Cooking will still be prohibited unless otherwise “directed” by the Qrendi council. Qrendi organisations are exempt from these restrictions provided they clean up afterwards. For any activity other than at Misraħ il-Maqluba, the applicant shall still provide information as to how and where the cooking is to be done and how the place will be kept clean. In all cases, music must stop at midnight or even earlier if instructed by the police. Anyone who contravenes these laws or gives wrong information in an application shall face a fine of not more than €70. When asked how the new rules would affect small-scale activities in other parts of Qrendi – such as a family barbecue at Wied iż-Żurrieq – council executive secretary Chris Falzon was clear: the Qrendi council, he said, does not give permission for barbecues to be held at Misraħ il-Maqluba or Wied iż-Żurrieq. Asked why the council had felt the need to regulate outdoor activities, the council said that after the Misraħ il-Maqluba embellishment project in 2014, it started receiving requests for the holding of wedding receptions and other general activities there. In 2015 the council started working on a bye-law which was approved last year and published at the start of this month, the executive secretary said.